WOne Clinic A medical aesthetic clinic that specializes in providing non-invasive cosmetic procedures for the face & body with minimal downtime. FIL FIL offers a myriad of customised skincare treatments for women of all skin types to achieve a flawless and radiant complexion. Our spas come equipped with luxury facilities set in a tranquil atmosphere to offer truly pampering experiences, giving you maximum relaxation of the mind, body and soul. BEYOND BEAUTY Beyond Beauty International is a forward-looking company with a holistic approach towards health & beauty, offering total face and body care, complete with slimming and spa services. As one of the most progressive companies, our services are a unique blend of the latest technology and the skilful human touch. All this, coupled with the best value, is customised to complement the individual lifestyles of our customers–the modern man and woman. 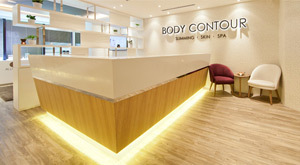 Body Contour PremierIncepted in 1997 and one of the largest slimming and wellness providers in Singapore, Body Contour Premier provides a plethora of holistic wellness treatments to thousands of satisfied customers each year. TrichoMedA leading hair and scalp care centre, that ensures our clients to receive optimal satisfaction with our finest products and treatments. 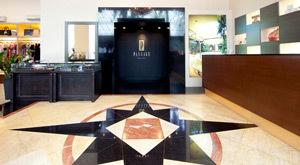 Passage New York1st luxury spa in Singapore to introduce a fashion atelier to its range of premium services. For the cosmopolitan women who want only the finer things in life. 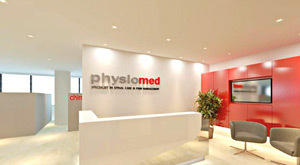 Physiomed InternationalA premier holistic health treatment and fitness service provider which offers health-care solutions based on Chiropractic Practices and Physical Therapy. The Covette ClinicMore than a clinic, we are global advisory board, a collective of medical luminaries with decades of knowledge who inspire best practices across the world. Leveraging on our patented proprietary protocols, well-appointed suites and holistic programmes, converging world-class expertise to deliver results, perfected for you. Global Wellness GroupManaging numerous established health, beauty and wellness brands in Singapore, Global Wellness Group offers a comprehensive selection of Medical Aesthetic & Chiropractic treatments, slimming, face and body treatments with ten Wellness Centres and three Aesthetics & Spinal clinics in Singapore. 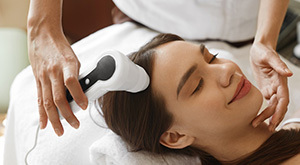 As a full service wellness provider, Global Wellness Group (GWG) offers a comprehensive suite of Medical Aesthetic, Chiropractic, Slimming, Face and Body treatments. GWG is a LEADER in innovation & technology in Singapore over last two decades. 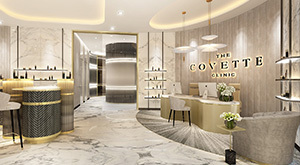 The company has a client base of more than a million in Singapore and owns leading wellness brands including Body Contour Premier, Passage New York, FIL, Beyond Beauty International, WOne Clinic, The Covette Clinic, TrichoMed and Physiomed International.